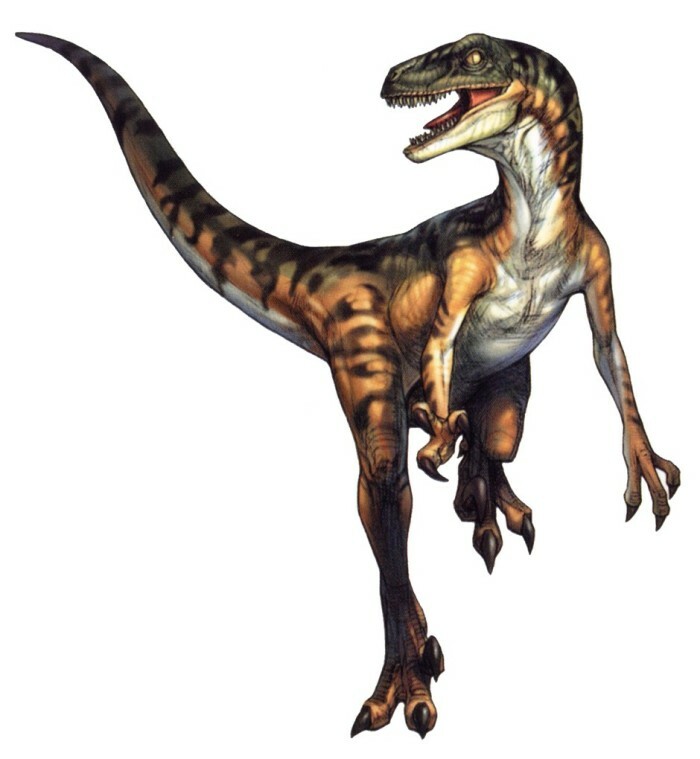 Velociraptor (meaning ‘agile thief’) or raptor is a kind of predator like Tyrannosaurus, smaller bodied only and ordinary life in groups. Their strategy attacking is smarter than other dinosaurs. They used to distract the attention of their prey, which actually has encircled their prey. 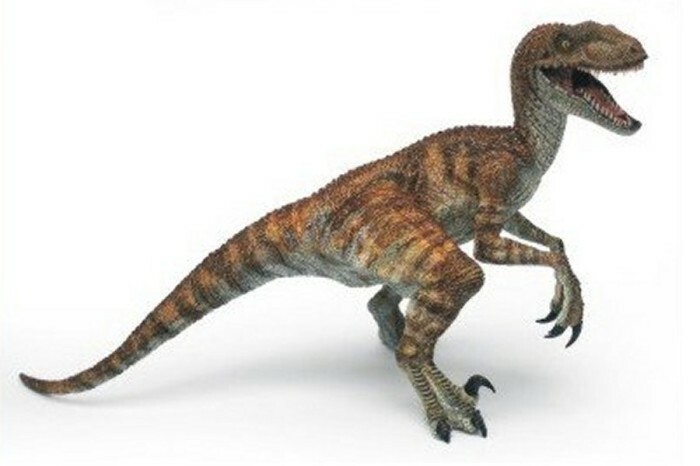 Velociraptor lived in the late Cretaceous about 65-71 million years ago. 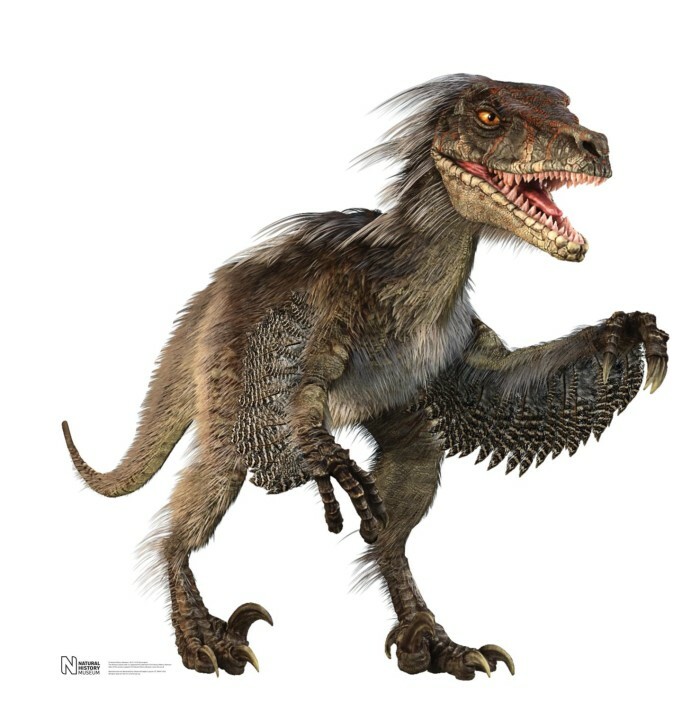 It was included in the sub-order Dromaeosauridae who have moderate body size, with a length of about 7 feet (2.5 meters) tall and 3 feet (1 meter) and weigh about 20-60 pounds (10-20 kilograms). 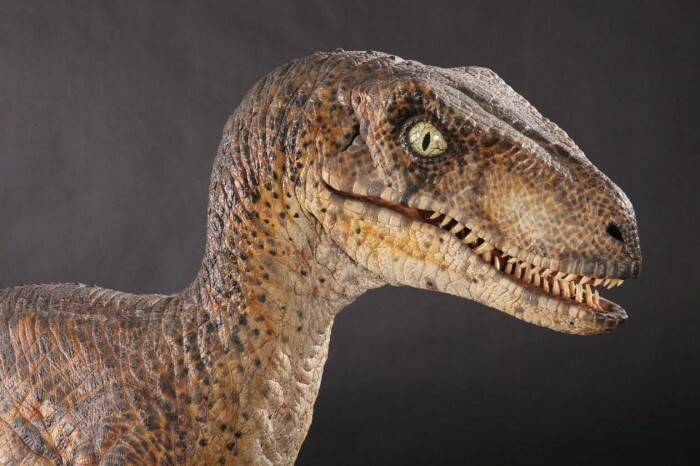 Raptor was first publicly in Jurassic Park in 1993. They have about 4 meters long and 2 meters high, so that many of the paleontologists who criticize to mock Spielberg, the director of Jurassic Park. 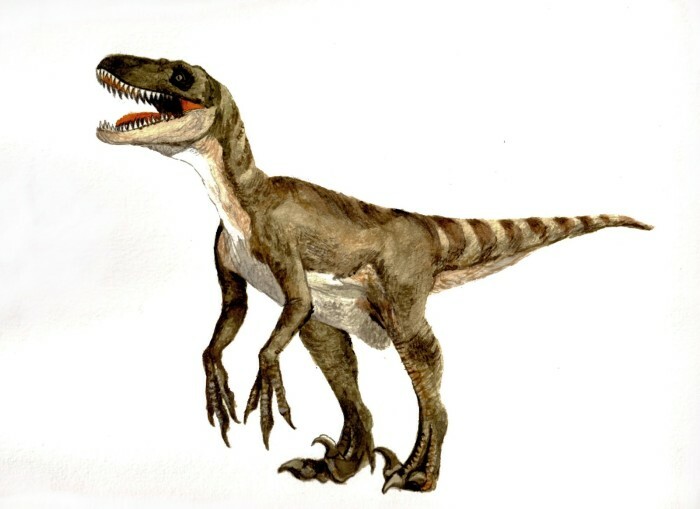 However described in Jurassic Park the Game that they raptor size three times larger than the size it should be, and the sizes tend to be more similar to Utahraptor or Deinonychus.The new discovery makes the shocked paleontologists, namely the discovery of the fossil raptor with feathers prints found in the plains of China in 1986. A characteristic that is owned by the family Dromaeosauridae have deadly claw-shaped curved like a sickle in his hind legs. Expert’s paleontologists speculate that the claws are used to kill prey. This reputation was first shown in the film Jurassic Park III as plugging the killer claw on one of the movie player. But is it true that the claws used for tearing their prey? A surprising discovery is that there is a raptor fossil was fought primarily to a Protoceratops, and the fossil is still in a state of fight. And there showed that the sickle claws raptor into the trachea of the Protoceratops. British scientist, Phil Manning conducted experiments is to create a replica of the hind legs to reveal the truth of raptor claws raptor death. And the results are surprising, not the claws can tear the flesh because the rear of the round-shaped blunt claws, so Phil speculated that the claw just to stab it.